Simon Holliday never seems to take a vacation. He is constantly busy either training for or setting marathon swimming records in and around Hong Kong Island and doing good with his new learn-to-swim foundation. He founded a charity called the Splash Foundation which helps Filipino and Indonesian domestic helpers in Hong Kong learn to swim. "We run 12-week programs for complete beginners. Next year, we aim to run programmes for around 1,000 women. Domestic helpers often suffer high levels of stress whilst living in Hong Kong. They often become indentured to exploitative employment agencies and/or indebted to loan sharks. They are required to live in someone else's home and spend years without seeing their children and families." 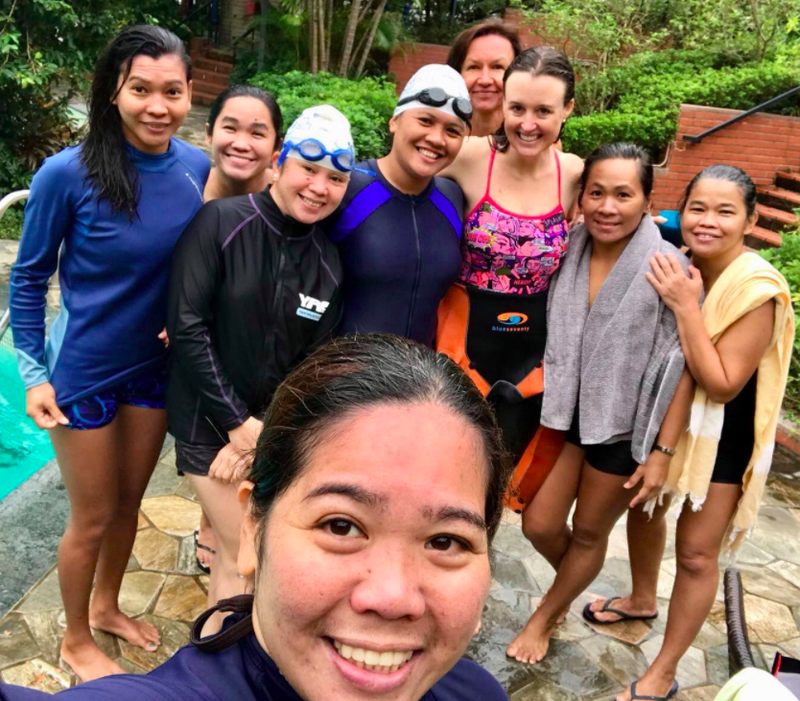 Coaches at the Splash Foundation include Karen Robertson, Janet Humphris, Annemarie Munk, Linh Carpenter, Georgia Brown, and Anna Ria Vallesteros. For more information, visit www.splashhongkong.org or its Facebook page.